In modern life, many of us are caught in patterns of distraction and dissatisfaction, unable to find lasting peace and inner fulfillment. This discontentment often stems from ignorance of our essential nature, leading to personal and planetary suffering. But without knowing how to access that we look everywhere for it, in ways that do not satisfy the heart. 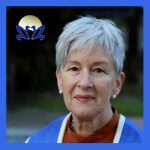 Yogacharya Ellen Grace O’Brian helps people from all walks of life discover a path to knowing and embodying our essential nature, and with it a profound experience of freedom, wisdom and inner wholeness. Her teaching method, rooted in the tradition of Kriya Yoga, is accessible and inspiring both for newcomers to inner work as well as experienced spiritual practitioners. This event is now ended. Rituals, rectitude, and riches: can spirituality and prosperity exist side by side? Join Yogacharya Ellen Grace O’Brian for a weekend immersion in the yogic philosophy of artha—the universal life goal in which dharma and wealth unite for a meaningful life of higher purpose. This retreat is a timely opportunity to discover how to thrive in all ways. Everyone is welcome. Morning programs are free-will donation. We are born to thrive. Life’s prosperity imperative continually supports our awakening and our fulfillment. Learning how to cooperate with the Infinite opens the door to our highest good. This workshop will explore the essential relationship between living with higher purpose and prospering. 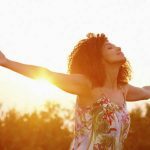 Discover how to thrive in all ways—including personal prosperity as well as essential social change and planetary healing, so that all may prosper. 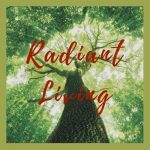 This retreat offers a rare opportunity to heal the perceived gap between spirituality and prosperity and boldly embrace your full potential. 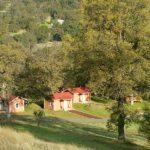 A meditation retreat offers the ideal environment for developing a peaceful mind and a compassionate heart. The inner peace, wisdom, and joy that are uncovered during dedicated practice on a retreat will inspire and inform useful lifestyle changes. The retreat includes daily spiritual teachings on meditation and the spiritually awakened life, study, and devotional chanting. Silent sitting group meditation is combined with periods of solitary walking meditation in nature. Prior meditation practice recommended. 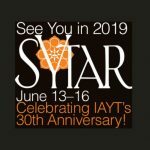 SYTAR is IAYT’s annual conference dedicated entirely to professional education, research, practice, and policy issues for yoga therapy. This is the premier conference for the field of yoga therapy. 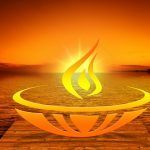 Yogacharya O’Brian will offer a plenary talk titled: Dharma and Artha: Light the Way to Thrive, Prosper, Succeed and Serve on Sunday, June 16th @ 11 am. 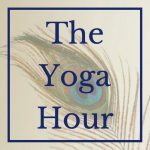 Join Yogacharya Ellen Grace O’Brian, author of The Jewel of Abundance: Finding Prosperity through the Ancient Wisdom of Yoga, to explore and experience what the four universal aims of life drawn from the Vedas can offer us today as we seek not only a prosperous life but one that has heart and meaning. The four aims of life—to live with higher purpose, to prosper, to enjoy life, and to realize true freedom—provide a brilliant context for living with dynamic balance, prosperity, and the joy that accompanies it. Learn how to cultivate equanimity as you embrace your inherent tendency to thrive. The four universal aims for a bountiful, fulfilled, spiritually awakened life—living with higher purpose, prosperity, pleasure, and freedom—provide time-tested wisdom for how to thrive without sacrificing our spiritual life along the way. This workshop will explore the essential relationship between living with higher purpose and prospering. This three-day Kriya Yoga meditation retreat is an opportunity to be immersed in spiritual practices that illumine the mind, balance the body, support well-being and offer the life-enhancing keys to Self- and God-realization. 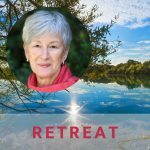 The retreat includes Kriya Yoga philosophy, practice, & initiation; daily meditation sessions; hatha yoga classes, chanting, an introduction to Yoga & Ayurveda for radiant living. This retreat offers an immersion in yoga philosophy’s instruction for true fulfillment and meditative practices for spiritual awakening. It’s a rare opportunity to heal the perceived gap between spirituality and prosperity and boldly embrace our full potential. 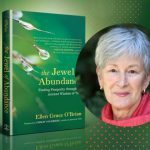 Yogacharya Ellen Grace O’Brian, author of The Jewel of Abundance: Finding Prosperity through the Ancient Wisdom of Yoga, offers gems of ancient Vedic wisdom that are universally applicable and timely for all who would lead a fulfilled, thriving, prosperous, spiritually awakened life. Is it possible to have both wealth and spiritual wisdom? In this lecture and reading discover how prosperity is not only possible but is imperative for a life of higher purpose. 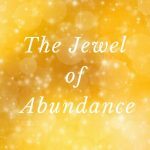 Learn what you can do to experience greater abundance in your life right now. Based on the treasure-trove of Vedic wisdom, this workshop is a timely opportunity to discover how to thrive in all ways. What we do matters. We are powerful agents, not only of personal prosperity but of essential social change and planetary healing, so that all may prosper. Yogacharya O’Brian reflects on the remarkable life of Roy Eugene Davis, her teacher of 40 years. We dedicate this program to Mr. Davis’ memory with a deep appreciation for his more than six decades of teaching Kriya Yoga. Is it possible to truly prosper without losing your soul? 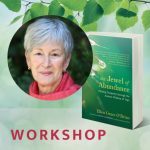 In this inspiring evening, esteemed Kriya Yoga teacher Ellen Grace O’Brian will discuss an overlooked aspect of yoga: its powerful teachings on prosperity and true wealth. Drawing upon ancient teachings of yoga philosophy, Yogacharya O’Brian will present profound yogic principles in an extremely accessible way to explain how spirituality and earthly success can complement each other, leading to realization of the higher Self and the abundant life of fulfillment and gratitude that naturally follows. 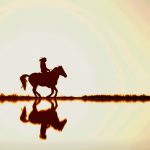 If you’re scrambling to find your path, or if you have the sinking feeling that you’re doing a great job on what is probably the wrong path, then consider taking a contemplative, spiritual pause — a chance to reflect and reorient. Yogacharya O’Brian will lead a discussion of how to find one’s life’s purpose from a spiritual perspective. We’ll look at how to find that purpose, and how to move towards its realization. Learn how to meditate and some surprisingly useful, millennia-tested methods for staying focused on one’s goals even when tired, overwhelmed, doubtful or resistant. 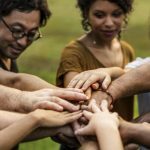 Seeking Connection will feed you spiritually – in a way only it can. 20 workshops, 6 full-day seminars, a 4-day interspiritual retreat, an indigenous-inspired spiritual journey in the stunning Pacific Northwest, and 12 dynamic speakers from across the generational and spiritual spectrum. Yogacharya O’Brian will offer a keynote and workshop titled Light from the East: An Introduction to Vedic Counseling and Spiritual Direction. In this inspiring evening, esteemed yoga teacher Ellen Grace O’Brian will discuss an overlooked aspect of yoga: its powerful teachings on prosperity and true wealth. Drawing upon ancient teachings of yoga philosophy, O’Brian will present profound yogic principles in an extremely accessible way to explain how spirituality and earthly success can complement each other, leading to realization of the higher Self and the abundant life of fulfillment. Explore and experience what the four universal aims of life drawn from the Vedas can offer us today as we seek not only a prosperous life but one that has heart and meaning. The four aims of life—to live with higher purpose, to prosper, to enjoy life, and to realize true freedom—provide a brilliant context for living with dynamic balance, prosperity, and the joy that accompanies it. 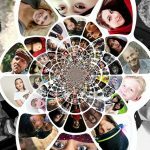 In this class, learn how to cultivate equanimity as you embrace your inherent tendency to thrive. The greatest potential of the life goal of artha, or wealth, is for us to become wealth itself. We are here to be a prospering presence, agents of transformation. Aligning our goal to thrive with the well-being of all is the secret to the highest happiness. Experience this extraordinary meeting of two shining gems of inspiration drawn from the stream of Vedic wisdom. Yogacharya O’Brian will read from her highly-acclaimed new book, The Jewel of Abundance: Finding Prosperity through the Ancient Wisdom of Yoga paired with the heart-opening riches of kirtan led by master musicians and students of Baba Hari Dass, Prabha Pacey, Purnima Cathy Conway, Soma Goresky & Shantam Galuten. A night for the soul with chants, music, and readings that illumine the mind and speak directly to the heart. 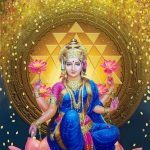 At this time of an ever-widening income gap associated with vast social ills, Yogacharya Ellen Grace O’Brian raises the lamp of ancient Vedic wisdom’s call to prosper in harmony with a life of higher purpose. Discover how this universal plan for a life that is both wealthy and wise can be applied now when it is needed most. Can we truly prosper without losing our soul along the way? Can we have both earthly success and a spiritually awakened, fulfilling life? Join Yogacharya O’Brian for an inspiring evening on the meeting of true wealth with soulful, joyous living. Yogacharya O’Brian draws upon the ancient wisdom of the Vedic purusharthas—the four universal aims of life. Join Yogacharya Ellen Grace O’Brian to explore and experience what the four universal aims of life drawn from the Vedas can offer us today as we seek not only a prosperous life but one that has heart and meaning. The four aims of life—to live with higher purpose, to prosper, to enjoy life, and to realize true freedom—provide a brilliant context for living with dynamic balance, prosperity, and the joy that accompanies it. Learn how to cultivate equanimity. Is it possible to truly prosper without losing your soul? 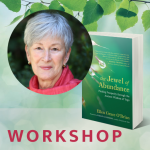 In this inspiring evening, esteemed Kriya Yoga teacher Ellen Grace O’Brian will discuss an overlooked aspect of yoga: its powerful teachings on prosperity and true wealth. Drawing upon ancient teachings of yoga philosophy, Yogacharya O’Brian shares profound yogic principles to show how spirituality and earthly success can complement each other. Realization of the higher Self and the abundant life of fulfillment and gratitude naturally follows. Included: practical teachings for spiritually conscious living from the universal path of Kriya Yoga that you can begin implementing right away. 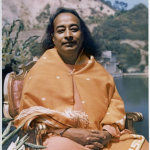 Meditation instruction, practice, and initiation into Kriya Yoga. In this inspiring evening, esteemed yoga teacher Ellen O’Brian will discuss an overlooked aspect of yoga: its powerful teachings on prosperity and true wealth. Drawing upon ancient teachings of yoga philosophy, O’Brian will present profound yogic principles in an extremely accessible way to explain how spirituality and earthly success can complement each other, leading to realization of the higher Self and the abundant life of fulfillment and gratitude. Yogacharya O’Brian will read from her much-anticipated new book paired with classical Indian music. Success in Life and Self Realization, you will be learning the deep teachings of Vedic wisdom regarding the fulfillment of our purposes in life and at the same time achieving Self-realization. This is an inspiring weekend retreat which will help you to readjust your personal purpose and recommit yourself to your Self Search journey with renewed energy. An afternoon in community with Ela Gandhi, granddaughter to Mahatma Gandhi, peace activist and leader in the nonviolence movement joined by Yogacharya O’Brian. 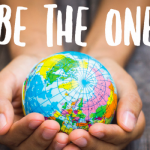 Engage in the call to action that unites and bridges us through inspired conversation, community dialogue circles, creative expression, and the timeless teachings of Gandhi to meet the opportunity and responsibility before us. Are you ready for a bold and compassionate conversation about leadership in today’s world? 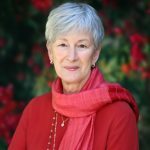 We invite you to join us for a conversation with Ela Gandhi, granddaughter of Mahatma Gandhi, Jim Wallis of Sojourners, and renowned author and teacher Yogacharya Ellen Grace O’Brian for a discussion about how alliances of all faiths can inspire action, help build community, and cultivate compassion even when times feel their most dark and uncertain. This event will be moderated by Suzanne St. John-Crane, CEO of the American Leadership Forum.